If you implement this one little thing in your life you will see how you grow as a person and also as marketer. Not only that you will also see how your business will excel! Do not just talk about making money, we want to take our stuff and business to the next level. But what we see is that not many people do this, especially alot of marketers. Start developing and start to act like the person you want to become. Do not let other people tell you what to do and try to distract you. Most marketers do not take the time to understand this. So you have to believe that you can make for example $50000 a month earner. Do not think of it as it is untouchable. You must start to believe that you can do it and start to act like the person you want to become. Change this into a habit, because if you adapt this as a habit, a habit is something you just do, it comes natural. A habit is an acquired pattern of behavior that occurs automatically. So start to think and act like like the person yuo want to become for the next 30 days. You will start to adapt this habit, you have to start talking and walking like somebody earning $50 000 a month. How would you talk, what do you need to do to change. Well alot of successful people listen alot more than what they talk. How do you activate this habit, find somebody that is at the level you want to be, model that person and see what they are doing. Look how they speak, how they behave. Get on the persons emails list, model them, but do not become a copy cat. The more you follow them and adapt these things them you will notice the change. But we all think that trying to model alot of successful people will help us, but this is not the case. Do not try to model to many leaders as you will be scattered, you will all over the place. So find one leader and make that person your mentor. Forget about everything else and laser on that one person. Pick up the patterns and see how they interact act with others. Adapt this for the next 30 days! This is one strategy that is not really spoken about between marketers. 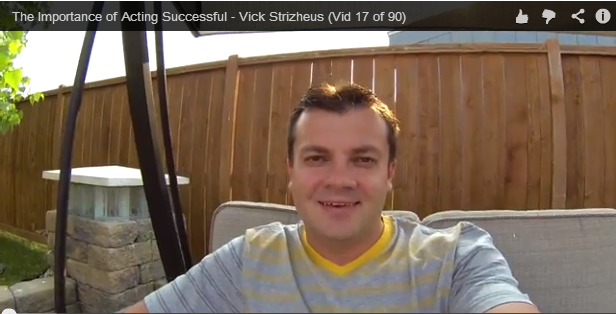 But Vick Strizheus really teaches this stuff and he is very successful. The entire Empower Network Leaders are all teaching is and they are all successful, so they must be doing something right! Why would we question them, So take this piece of advice and adapt it. You are in a great place and do not let anybody else tell you different! Our Awesome Product and Company!